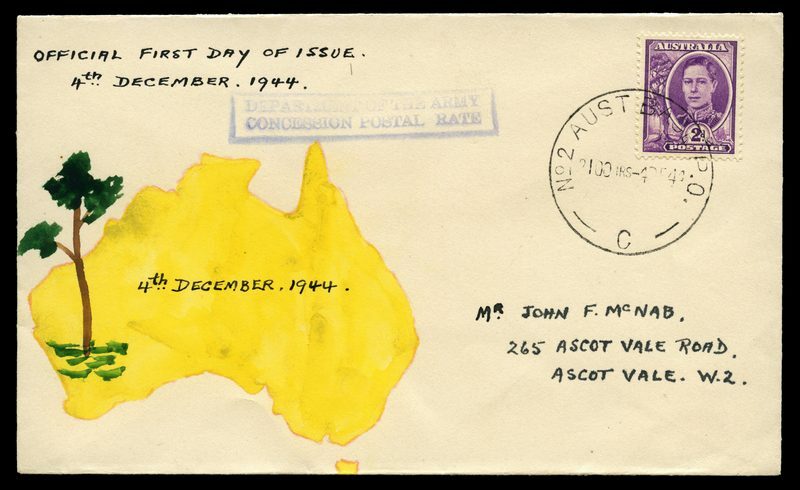 1944 2d Purple Wmk KGVI on attractive hand illustrated FDC, cancelled on FDI with No 2 Aust Base P.O. CDS together with "Department of The Army Concession Postal Rate" boxed cachet. Selection of 165 illustrated addressed Pre-Decimal and Decimal FDC's from 1949 to 1966 including 1961 5/- Cream Paper Cattle, 1963 Commonwealth Games set (2), 1963 Royal Visit set (2), 1963-64 Navigator set, 1963 2/3 Cable (2), 1964-65 Bird set of 7, 1965 Anzac set and 1966 Definitive set of 24. Mainly WCS covers. Some duplication with odd minor blemish or fault. Also range of official unaddressed Decimal FDC's and PSE's from 1979 to 1983. 1959 4d Lake QEII booklet pane on unaddressed WCS FDC. Catalogue Value $250.00. 1963-64 Navigator set on WCS FDC's. Largely complete collection of official unaddressed FDC's from 1970 Expo set to 1999 45¢ Celebrate 2000, plus largely complete 2010 and 2016 including some souvenir covers. 1970 30¢ Cook small cover with faint tone spot. 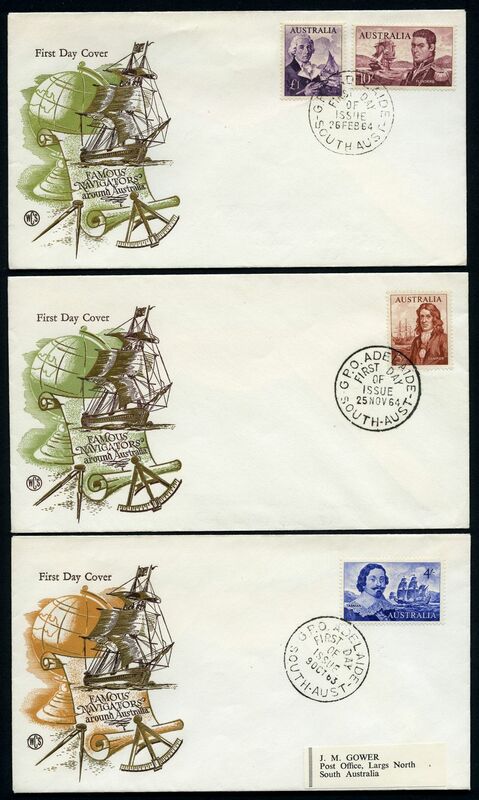 Complete collection of official unaddressed FDCs from 1970 Expo set to 1973 7¢ Broadcasting, including all cover types. 1970 30¢ Cook small cover has a type written address, so not included in the catalogue value. Catalogue Value $859.00. Also a selection of 56 Pre-Decimal illustrated FDC's from 1937 to 1965 and 117 Decimal illustrated FDC's from 1966 to 1974 with a range of handy items, plus 112 souvenir covers with special postmarks, some flown on commemorative Air Mails. 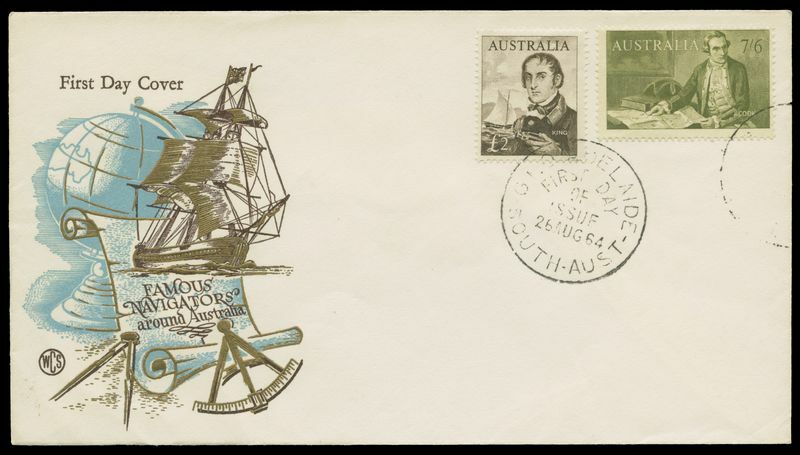 Accumulation of official unaddressed FDC's from 1974 to 2003, including some Joint Issues and Australian Antarctic Territory. Some light duplication. Face Value $1,173.00. Collection of official unaddressed FDC's from 1980 to 1992. Face Value $448.00. Also a few earlier and miscellaneous items and a near complete collection of 290 mint PSE's from 1980 to 2002. Face Value $103.00. Collection of official unaddressed FDC's from 1990 to 2000, including odd souvenir cover, Joint Issue and PSE. Face Value $400.00. Also packet of Foreign used stamps. 1991 Across Town Sydney (50) and Across Town Perth (40) Postage Paid labels on official unaddressed FDC's. Face Value $292.50. Collection of official unaddressed FDC's from 1997 to 2016, including Limited Edition and Joint Issues, AAT, Christmas Island and Cocos (Keeling) Islands Australia. Face Value $2,077.00. 2000 45¢ Olympic Gold Medallists Digital and Offset-litho sets of 16 on unaddressed FDC's, 2000 Olympic Stamp and Coin PNC set, 2004 50¢ Olympic Gold Medallists set of 17 on unaddressed FDC's and a selection of other Olympic related FDC's. Also Australia Post Olympic Games Prestige Stamp Album containing a range of MUH stamps, FDC's and Maximum cards. 2008 50¢ Pope Benedict World Youth Day Gold Stamp First Day Cover [Limited Edition No 453/500] and 2010 60¢ Melbourne Cup Gold Stamp First Day Cover [Limited Edition No 161/500] in wooden presentation boxes. High retail value. Accumulation of hundreds of mainly official unaddressed FDC's from 1966 to 1996, plus hundreds of PSE's cancelled FDI, including some with special or commemorative postmarks. Noted 1971 Christmas block of 7 on official unaddressed FDC (4). Australia, Australian Territories and Papua New Guinea. Australia, Australian Antarctic Territory, Christmas Island, Cocos (Keeling) Island, Nauru, Norfolk Island and Papua and Papua New Guinea collection of 565 mainly typed addressed WCS FDC's from 1950 to 1980 including many handy items, plus India selection of 87 official unaddressed FDC's from 1958 to 1970. Odd minor blemish and light duplication. 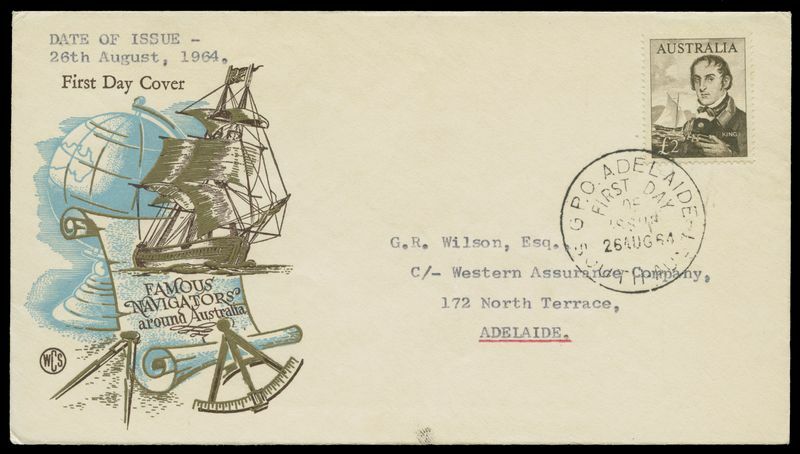 Selection of 119 mostly Pre-Decimal First Day Covers, Special Postmarks, First Airmail Flights, commercial covers and Registered Postal Stationery Envelopes, including handy early FDC's. Selection of many hundreds of FDC's from 1950 to 1996 including a few Exhibition miniature sheets and some light duplication. Face Value $806.00. Collection of 76 Machin Head official FDC's from 1972 to 2002 including high value definitives, commemorative booklet panes and few Regional issues, all neatly typed addressed. Noted 1972 Wedgewood Booklet Pane including ½d sideband Machin Head with full perfs. Catalogue Value $1,325.00. Collection of 435 unaddressed FDC's from 1964 to 1978 with main strength in West Berlin, West Germany and Vatican.